Bengaluru: Since our last report on the tumbling down of the Bengaluru-based financial company Morgenall; which is believed to have defrauded investors to the tune of hundreds of crores, many former employees and investors reached out to us, revealing some startling details about the disgraced firm and its promoters. The details they provided are all in bits and pieces, considering that none of them were privy to the actual functioning of the firm. However, when these pieces are put together, what comes out is a story which is just incredible to believe. The story of Morgenall is a story of how a bunch of fraudsters, systematically targeted the city’s Muslim community, luring them to invest in their firm, inducing them in the name of Islam and halal investment. It’s a story of people of this particular community, who, without any investigation, and due diligence invested their hard earned money hoping they will get incredibly high returns every month. It’s a story of how Morgenall and similar companies silence religious leaders, self-proclaimed intellectuals and community-based news organizations by sponsoring their events and buying large advertisement spaces in their newspapers. And it’s a story of the failure of an entire community, which has turned a blind eye to such fraudulent companies, who continue to rob them of their money in the name of religion. According to the information provided by these employees and according to the details gathered from the company’s now-defunct website, Morgenall began its operations as a consulting firm in 2004, facilitating recruitments in the Middle East. The company was headquartered in Dubai, UAE, where it still functions out of an office. It’s unclear, how and when a relatively unknown and shady job consulting agency transitioned into a financial company, promising to double people’s money, but somewhere around late 2016 or early 2017, Irfan Pasha, the CEO, and Founder of the company is believed to have started contacting many known and some unknown small companies, through mutual friends, promising to invest money in their establishments. “He projected himself as a devout Muslim, who had made a large fortune for himself through his company in the Middle East”, said one former employee, who wished to conceal his identity. A smooth talker, Pasha told these company owners to think large. For instance, he convinced the owner of a small-time design company to expand his agency from 4 employees to 50 employees and financed the expansion too. He invested in pharmacies, a fertility and birthing centre, a hearing aid clinic, and a green tech company, among others. He even asked an Islamic bookshop owner to convert his store into what he called a ‘Global Islamic Megastore’, where besides books, Muslims could buy perfumes, cosmetics, and clothes, all halal certified. “The only thing he wanted in return, was the logo of Morgenall, next to the logos of all these companies, which they all happily obliged,” says the anonymous employee. It’s yet to be ascertained the exact amount Morgenall invested in these companies, but a quick search on the financial information website zaubacorp.com reveals that Irfan Pasha, his wife Fathima Maqdooma, and in some cases the CA of the firm Aslam Pasha, are supposed to be the directors of many of these companies, along with the original founding members. Within the next few months, in 2017, large hoardings of these companies, along with the name of Morgenall started coming up across Bengaluru, especially in areas predominantly resided by Muslims. The billboards were laced with verses of the Qur’an, with pictures of people wearing skull caps. Morgenall had started to apply the age-old rule of marketing. It went from teaser to preview to launch. The company started hiring new employees, mostly for its call centre and marketing team. The employees were told that they will be working for a multinational company, which was starting a credit co-operative society in India, to empower people from economically backward communities. The employees, naturally brought into the claims, without any reasons to doubt the company’s veracity. “The company first announced the start of Morgenall Ventures LLP, and came up with many investment plans, which was too good to believe,” said one of the former employee, who too wished to be anonymous. One such was plan was, what they called P+P or Principal + Profit. For instance, the ones who invested Rs. 1 lakh received the principal amount of Rs. 25,000 in return and an additional 5% profit on the remaining Rs. 75,000. The second month, they received another Rs. 25,000 and 5% profit on the remaining Rs. 50,000 and it continued this way, till on the 4th month, the investors were returned their entire principal amount of Rs. 1 lakh, 20% profits on that amount, and an additional Rs. 25,000, a 2-gram gold coin, and Rs. 2000 worth gift vouchers from Big Bazaar. When some of the employees questioned the management, about the outright dubiousness of such a plan, they were asked to just do their jobs. Initially, the company is said to have smoothly paid investors their promised returns every month, gaining their trust, and adding more investors to accounts. And a few months later, it even announced the starting of a co-operative society. According to the employees, the launch of the co-operative society was promoted heavily. “It was advertised in newspapers, hoardings were put up in petrol bunks, and other public spaces and leaflets were distributed in front of mosques”. Minimum deposit to open an account was fixed at Rs. 50,000 for men, and Rs. 25,000 for women. They even had a term to explain the special consideration for women depositors. “It was called Women Empowerment,” said one of the employees, sarcastically. According to this employee, around 5000 people had made investments in Morgenall Ventures LLP, and an even higher number of people had invested in the co-operative society. The exact number can be learned only after looking into the company’s records. Although the co-operative society was registered in Karnataka, and by law was supposed to only operate and collect deposits in Karnataka, the company promoted their plans in Andhra Pradesh and Tamil Nadu and started collecting deposits in those states as well. One investor, from Andhra Pradesh, who wrote to us, says that she had invested Rs. 1 lakh in the company, and has not received her monthly returns for the past two months. Everything seemed to be going fine for Morgenall. Within a short period of time, it had established itself as a big financial company, with thousands of investors. It had made a name for itself in the Muslim community, and that despite many similar companies shutting down, and its promoters absconding with millions of investor money. There was no reason for either its investors or its employees to believe that the company, which had promised them the stars, was systematically planning to trick them all. 3–4 months before the company shut down its office and scooted off with millions of rupees, it abruptly stopped paying investors their monthly returns. According to investors who contacted The Cognate. For some, the payments stopped coming in the month of June, and for some, it was in July. When panicked investors, contacted the company’s office, they were told that all their accounts were being linked to ICICI Bank and were asked to wait for the process to complete. To gain investor trust, they even installed an ICICI bank kiosk in their office. According to the employees, they too stopped receiving salaries 3 months ago. In fact, around 3 weeks ago, messages on WhatsApp started getting circulated (See the screenshot below), warning people to withdraw their deposits from Morgenall. The message even warned that Irfan Pasha had run away to a different country or planning to run away, according to another message. One suspicious employee, who The Cognate spoke to, tried tracing the source of the messages. “Along with Irfan Pasha’s name, the message contained the name of the CEO of the design agency, who had no involvement in the day to day activities of Morgenall LLC or Morgenall Society. I knew that there was something fishy about it, and wanted to get to the root of it”. His search landed him to a bulk SMS providing company in Chandigarh, whose call centre confirmed that the message was sent through them. But to his surprise, the very same day, Irfan Pasha’s wife Fathima Maqdooma confronted him about the call he made to the SMS company. “In retrospect, I believe there was a planned effort to divert the attention of people from Irfan Pasha, his wife, and the core inner circle of the company to other people, right from the beginning”. According to the employee, Irfan Pasha sold his house in HBR Layout at a throwaway price a month ago and rented an independent villa in Hennur Road. His passport copy shows it was renewed on December 20th, 2017, and will expire on December 12th, 2027. An email sent to The Cognate from another employee says that around this time, Pasha hired at least 20 people for his Dubai office, located in the city’s Business Bay area. “Irfan Pasha visited the Dubai office initially and gave good pep talks to his employees. It has now been 3–4 months, nobody has a visa or salary and everyone is stuck. 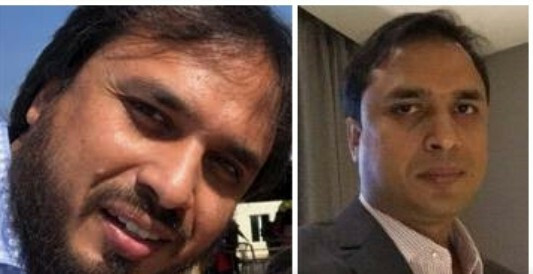 In Dubai, you cannot survive without visa or salary and Irfan Pasha ruined the lives of many people including people with lower salaries such as the poor office boy. After this news started emerging, people started to get terminated in the Dubai office and the rest were forced to resign without a single dirham being paid. The same situation is in Qatar where the office closed down and nobody was paid any salary,” the employee said. According to him and others, who have reached out to us, the company’s HR Manager Naziya Ahmed, who is believed to be either the relative or a friend of Fathima Maqdooma, quit her job and collected her full and final settlement on the same day Irfan Pasha and his wife are supposed to have absconded. These employees also accuse other senior management members, to be hand in gloves with Irfan Pasha and his wife. 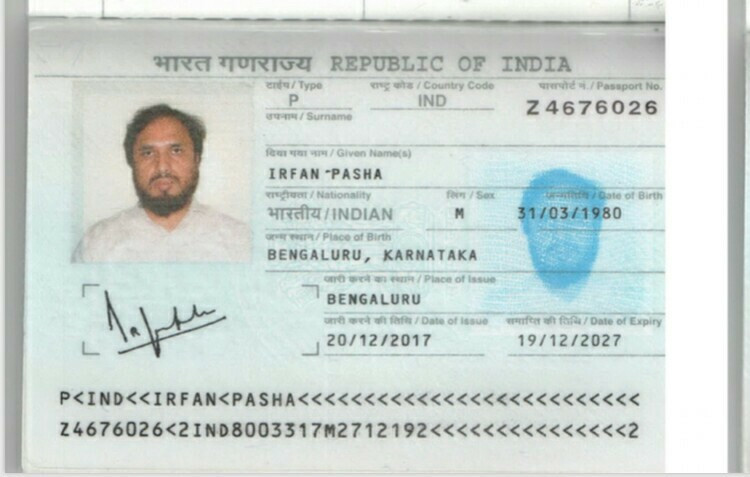 According to them, Shahid Ali, who was the admin officer at the company, was allegedly seen deleting data from computers, a day before Irfan Pasha absconded. When one of the employees asked, what he was deleting, he was told to mind his work. They accuse Azeezullah Khan, who the company had appointed as a ‘Halal Advisor’ of brainwashing people to invest money, saying it was all halal. “He used to quote the verses of the Qur’an and the sayings of the Prophet (Peace be upon him), and persuade people to invest”. They also point fingers at the company’s manager Sibgatullah Baig, and its Chief Communication Officer Lokesh Raj, and accuse them of being the “brains behind the scam”. “Catch hold of these people, and you’ll get the whole truth,” the employees say. According to them, Morgenall used to accept deposits from investors in cash, without even ascertaining the source of it. This practice lasted for several months, until a fraud detection officer appointed by them, cautioned the company of legal consequences. “That’s when they began doing the KYC of customers“. The information The Cognate could gather from different employees, who we met in person, and from employees who shared their details through emails clearly indicates that Morgenall was a company established to loot people and escape before anyone notices. They amassed vast sums of money by specifically targeting the city’s Muslim community in the name of Halal investment, and succeeded at that. The extent of the scam, the people involved, and the nexus they had, can be wholly ascertained, only after Irfan Pasha, his wife Fathima Maqdooma, or any of the alleged core members of the company will be arrested. However, the story of Morgenall paints a sorry state of affairs of a community, which continues to be fooled in investing in Ponzi schemes, all in the name of religion. As one employee told us, “If today, some company announces they are offering 10 or 20% return on investment, and they say the money is halal, I can assure you that the Muslim community will again fall for that trap”.